Conveniently located on Louisville Avenue near Office Depot, Catfish Charlie’s is the pinnacle in the Ark-La-Miss for Reel Fresh food. 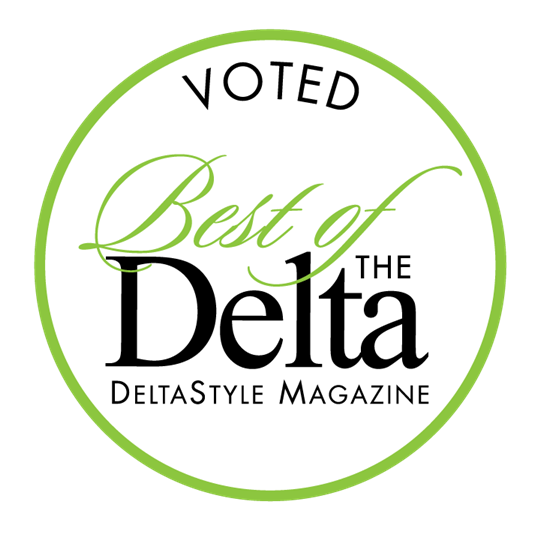 Proprietor Doug Wood insists on doing everything “Homemade, Big and Reel Fresh”! The menu starts off with a wide selection of scratch-made appetizers. Your biggest task at Catfish Charlie’s is deciding what to order: Whether it’s the juicy, jumbo shrimp, U.S. Farm Raised Catfish Fillets, our world-famous Thin & Crispy Catfish, oysters, or any combination of these! Craving a healthy salad or overstuffed sandwich? No Problem! Catfish Charlie’s offers enormous salads and overstuffed poboys, grilled or fried! (Be sure to save room for homemade Ooey Gooey Cake, Mile High Carrot Cake or Creole Cheesecake)! Another specialty of Catfish Charlie’s is the unique On-Site Catering. 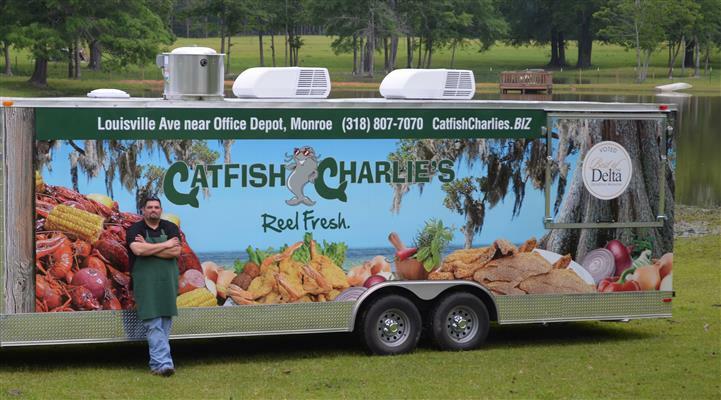 Catfish Charlie's was the first to bring an on-site catering vehicle to the Ark-La-Miss. Doug personally oversees everyone and serves up anything on the menu and more! It is not uncommon to have Catfish Charlie’s cater some of the nicest, most formal events in town! Whether you need a backyard fish fry or a unique, formal dinner - Catfish Charlie’s is the answer! Ordered Fresh and Cooked to Order Everytime! Dine-In, Drive-Thru, Take-Out ... we look forward to serving you!